On Monday, June 19th the Hawthorne FD was dispatched to multiple calls throughout the town as a severe storm rolled through which brought down tress and power lines. At 4pm, the town of Glen Rock called for mutual assistance for a working fire at the Opici Wine Group, located at 25 De Boer Dr, Glen Rock. 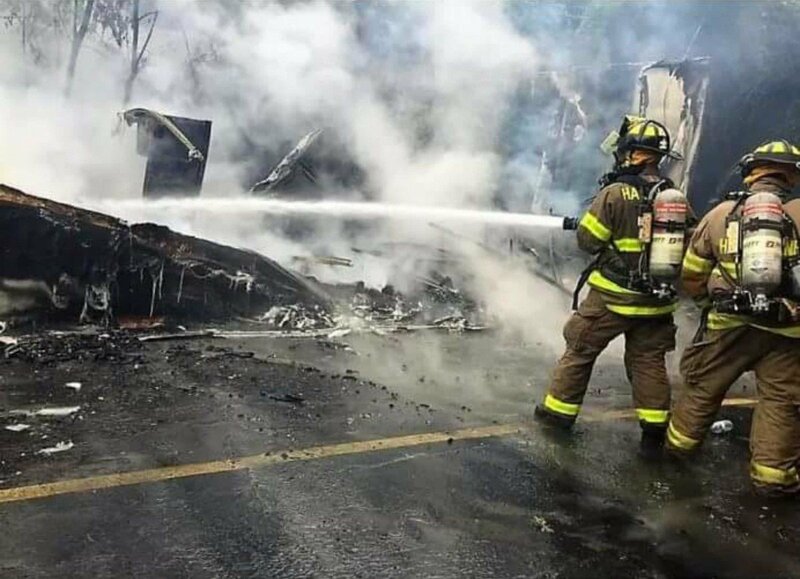 Company #4 was dispatched and arrived at the scene and reported a tractor trailer located behind Opici Wine Group was heavily involved due to down power lines. Members from Hawthorne Engine Company 4, Fair Lawn, Ridgewood, Glen Rock were put to work operating hose lines to knock down the fire. 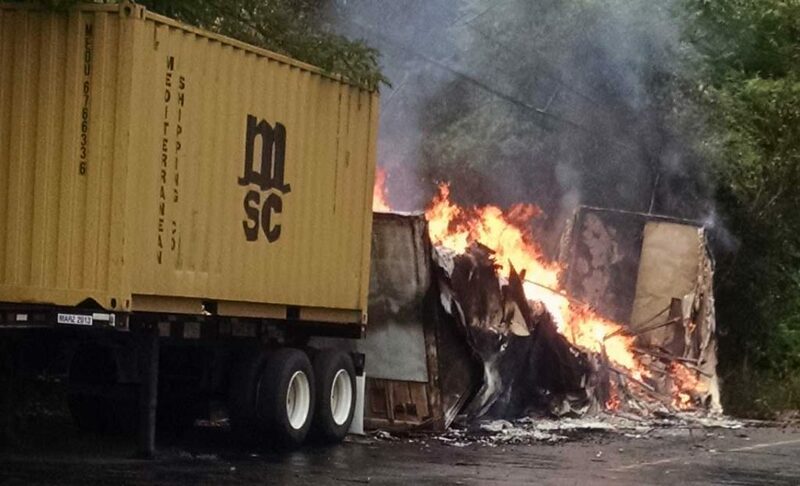 Flames incinerated the tractor trailer.